No matter how well you look after your car, it’s inevitable that the interior will start to show signs of wear and tear through day-to-day use, not least if your passengers include small children or pets. 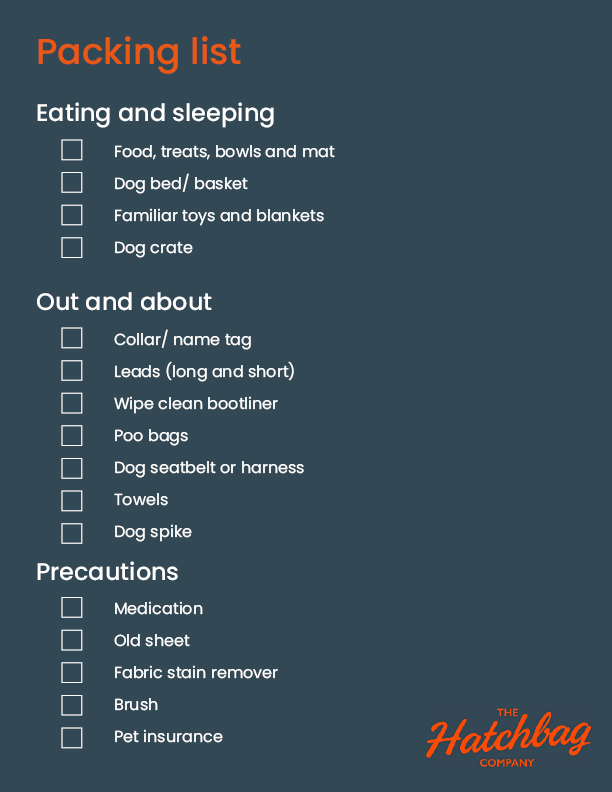 Simple measures—such as removing muddy footwear, avoiding messy snacks, and taking litter with you when you leave the car—will help prevent mess from accumulating. Regularly vacuuming the upholstery and footwells and wiping down surfaces will also keep the interior in prime condition. While it’s easy to keep on top of the passenger areas of the car, it can be a lot harder to keep the out-of-sight areas—such as the boot—clean and damage-free. The very nature of the boot means you might use it to stow bulky, dirty items such as prams, bikes, luggage, sports gear or camping equipment. All of these can transfer mud, oil and other stains to the interior, and sharp edges can damage the carpeting or inner tailgate. 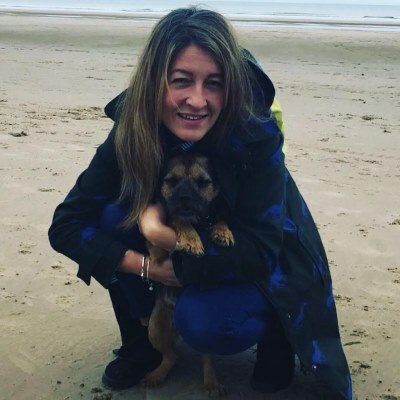 And while the boot is also a safe and practical area of the car for transporting the family dog, again there’s the risk of stains and potential damage from chewing or scratching. Spillages—from either groceries or car maintenance items such as motor oil—attracted a combined 32% of the votes, highlighting that simple, day-to-day accidents can cause considerable damage to a car’s interior. Children’s equipment and pets also proved to be common causes of damage, collecting 25% and 22% of the votes respectively. Tools and sporting equipment were the main source of damage for 13% of people. Holiday luggage was cited as a cause of damage for a further 8% of those surveyed. This is one area where prevention is most definitely better than cure. Protecting your boot before you fill it with items that are likely to spill or scuff will undoubtedly reduce the damage caused. You can do this by putting rugs and blankets down. However, they may slip and slide in transit, or moved or chewed by pets. They are also unlikely to contain any liquid spillages. The best way to fully protect your boot is to install a made-to-measure, wipe-clean bootliner that fits securely to the walls and floor of your boot, covering all surfaces. If the boot is already soiled or damaged, you may be able to restore it to its former glory with a bit of TLC. What do you find causes the most damage to the interior of a car boot? Liquid spillages such as milk, paint and fuel are probably in the top-five items that cause serious damage. Also, any heavy objects such as bikes, tool boxes etc. will eventually damage the carpet. What methods would you use to clean the following spillages from a car boot? Oil—Any oil-based spillage usually ends up damaging fabrics and plastics one way or another. It’s near impossible to remove every single trace of oil that has been spilt into a carpet and therefore we advise to replace boot carpets rather than try and clean them. Mud—Dry mud can be easily removed from fabrics and carpets using a brush to loosen the soil and a cylinder vacuum cleaner to collect it. Food spillages—Light food spillages can be removed from carpets and upholstery with a cloth or towel. However, if the spillage is heavy, dairy-based or likely to cause an odour, I would definitely recommend seeking professional attention. Pet fur—Remove pet fur from carpets and upholstery using a rubber brush specifically designed for this purpose—simply brush the surface and then vacuum. If you don't have a rubber brush, rubber gloves will also work well. Pet mess—Remove as much of the spillage (if solid) as soon as possible and keep the windows open. Apply an anti-bacterial spray to the areas and rinse using a damp towel. If the pet has urinated, you will need to blot up the spillage and treat the area to prevent odour and bacteria. In this case, the best option would be to bring in the professionals. Do you have any tips for helping to protect the car boot from damage? A good-quality, purpose-made bootliner will no doubt shield the carpet from wear and tear. I can definitely notice a difference to the condition of the car boot when boot protectors have been used. How would you suggest repairing a ripped boot lining? This will depend on what it’s made from. If it’s moulded plastic, an epoxy resin or flexible filler may work well. If it’s thin plastic, the cheapest way to fix a tear would be using a good-quality adhesive tape. If you’re not sure which colour to choose for your new Hatchbag boot liner, this guide will help you decide. 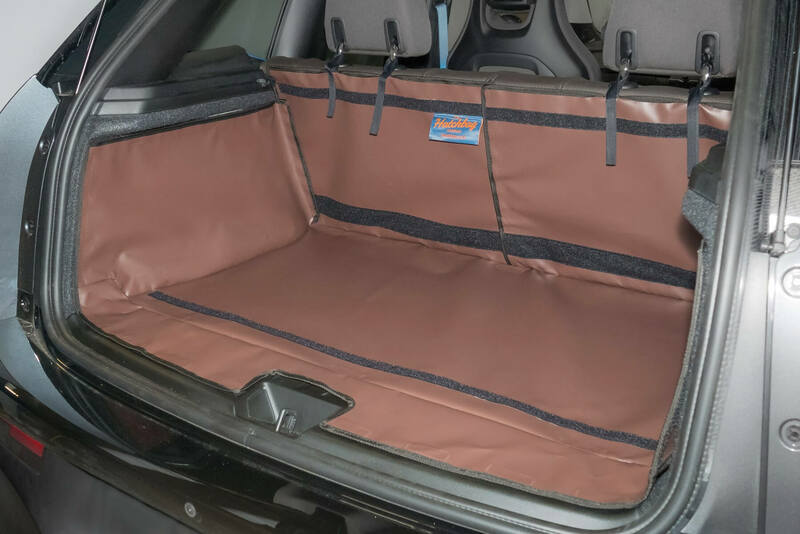 The pictures below will not only show you what our boot liners look like when they have been fitted, but also how the colour could suit your vehicle and personal preferences. Due to the large volume of vehicles we provide for, the pictures shown are only generic ones. This means the pictures will not match your vehicle exactly but should give you a good indicator on how the boot liner could look in your vehicle. Unsurprisingly, most of our customers tend to choose black or grey for their liner. Black is what you would expect it to be, often complementing the existing darker colours of the boot. The grey can best be described as a battleship grey. An added advantage of the grey is that it shows the least marks over time. If you’re looking for something more colourful then look no further. If you are the kind of person that likes to stand out with brighter colours, take a look at our red, orange and pink liners. They will certainly jazz up your cars’ interior decor and make your boot stand out from the crowd. Our final two colours may not be the most popular or vibrant, but they do have a charm of their own and may suit your car perfectly. The blue is a royal blue, whereas the brown can be described as a milk chocolate brown. Brown is also very popular with customers ordering for cars with beige interiors. Hopefully this guide has given you an idea of what the Hatchbag boot liner will look like in each colour. Now it’s time to go ahead and customise the perfect boot liner solution for your needs. 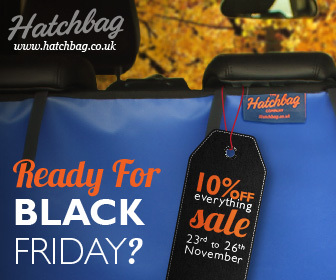 Black Friday marks the start of the holiday season and here at the Hatchbag Company, we are excited to keep up this autumn tradition with a 10% discount on our entire range of products from November 23rd to 26th. The term Black Friday was first coined in the 1950s in Philadelphia and has become an almost global sensation since then. It’s the day consumers like to make the most of lavish discounts and get a great deal on that product they’ve had their eye on for some time. Let’s look at the range of products you can save money on with our Black Friday discount. 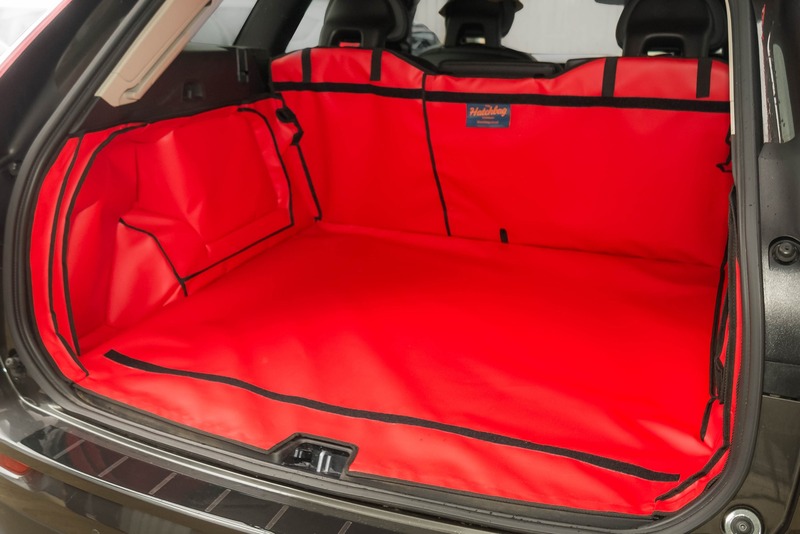 If you are looking for a tailor-made liner that will cover and protect your car boot, then the Hatchbag Company has you covered. 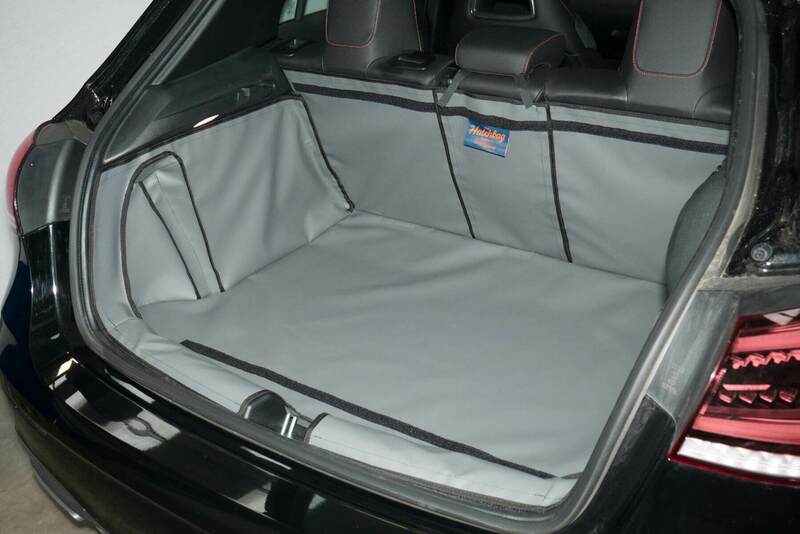 We sell over 400 different boot liners for a range of car models, with a host of accessories to take care of your every need. Our standard liner, made of high-quality pvc will become a second-skin for your boot, protecting your vehicle from muddy paws, sharp edges, or heavy goods. If you require more space, you may wish to upgrade your liner to either the rear plus or rear split version. The rear-plus liner allows you to fold down the back seat altogether. If you want to fold down your back seat down individually and altogether then the rear seat split option may be the one for you. Please note, when you fold your seats down there will be a small gap at the top and side of the seats left exposed. You can cover this in one of two ways, rear seat flap or boot liner extension. The rear seat flap attaches to the top of the liner and flaps over the headrests. If you order a split liner, the rear seat flap will also be split. 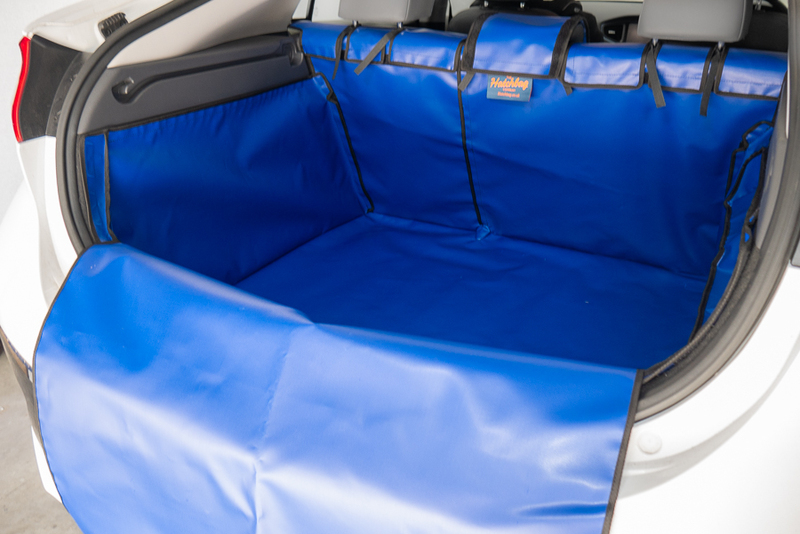 The boot liner extension protects the back of the front passenger seat and driver seat and attached to the boot liner folded on the second row of seats. For dog owners, the bumper flap could also be a perfect addition in protecting your bumper from scratches. Finally, the tailgate cover offers protection to the inside of your boot door. 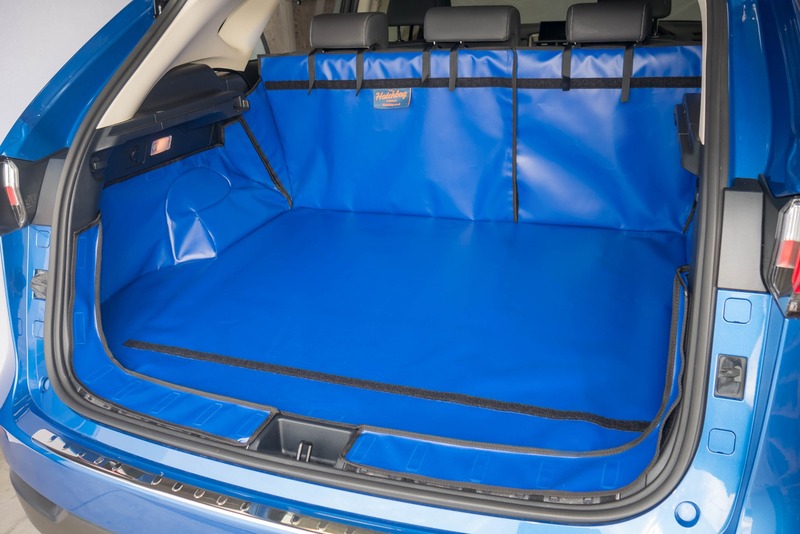 On top of our boot liners, we offer several mats to fit on top to suit a variety of needs. The Hatchbed mat has a carpeted surface that will provide a comfortable surface for your dog to lie on. The odour mat contains an activated carbon that can absorb and eliminate any bad odours, and our rubber mat is a perfect addition for extra protection for your car boot floor, especially from heavy goods or sharp edges. With a 10% Black Friday discount on all our products from November 23rd to 26th, we can customise your order specifically to your needs and send it direct to your doorstep. You don’t even need to worry about a discount code. 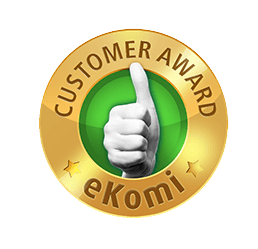 The offer will be automatically applied at the checkout. So, save money off your Hatchbag boot liner this Black Friday and start your holiday season with a smile. High-adrenaline extreme sports are increasingly popular here in the UK, with more and more people heading out to the back of beyond to leap, climb, scale and ride and ultimately push themselves to the absolute limit. As any fully-fledged boy scout will tell you, the first rule of hitting the great outdoors is to be prepared, so taking time to seek out the right training and source the correct specialist gear is essential. Investing in high-quality equipment will undoubtedly help improve performance and keep you safe, but it’s not going to do its job if you don’t take proper care of it. Cleaning, maintaining and safely storing equipment between uses is far less exciting than using it to scale a vertical rock face, but it will help prolong its life—not to mention yours! There’s no point buying top-of-the-range equipment if you’re going to just dump it in the back of your car, so it’s well worth investing in protective storage for transporting it. Wipe-clean bootliners will stop equipment from rattling around in transit and help prevent unnecessary damage—to both the gear itself and your car. 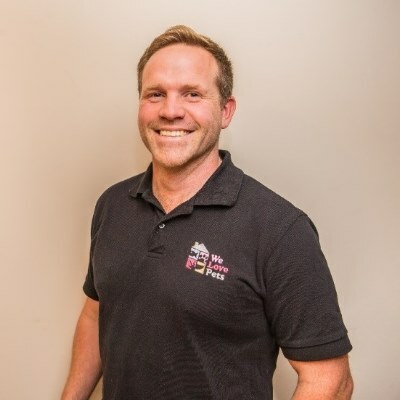 To learn more about why looking after specialist sports equipment is important, we spoke to Richard Goodey, co-founder of Lost Earth Adventures. As a qualified rock-climbing instructor, Mountain Leader, Level 2 Caving Leader and mountain bike instructor, Richard knows a thing or two about extreme sports. He’s also wilderness first-aid trained, a white‑water rescue specialist and has a Recreational Avalanche Certification—making him the perfect person to talk to about equipment safety. How important is it to keep specialist equipment in good condition? 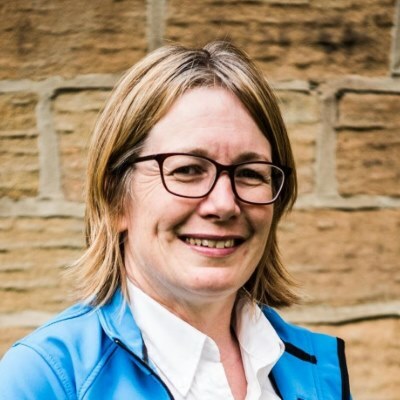 Richard: People rely on us to guide them and keep them safe, whether we’re mountaineering, caving, canyoning or mountain biking in the UK and the highest mountain ranges on earth. Nothing is worse than a crampon slipping off when climbing a steep ice face, leaving you to precariously climb hundreds of metres one-footed, or your brakes failing while descending the longest mountain bike descent on earth at high speed above a cliff! Both of these problems could be fatal so spending a lot of money and time getting the right kit, maintaining it and educating yourself about it is incredibly important. Obviously not all cheap kit will kill you and budget is always something to take into account, but it is important to get your priorities right with adventure sports and make sure you have efficient, professional and top-quality gear. Most adventurers have spent long, cold nights in sub-par waterproofs in a downpour or had shoulder straps break on their rucksacks with 10 miles still to hike at the end of a long day. You don’t need money to be an adventurer but if you want to push limits or give people a successful and enjoyable time in the mountains, you need to make sure everything is A-OK.
Do you have any tips for preventing equipment from becoming damaged in transit? Richard: Keep it away from battery acid and other chemicals. Most kit gets thrown in the boot of a car then taken back to a storage unit or an instructor’s house for cleaning. This would normally be stored in duffel bags to protect it against any foreign liquids or sharp or moving parts. Old head-torch batteries should be kept separate from any fabric equipment or ropes as battery acid destroys rope by making it brittle. The worse part is you might not notice the battery acid has affected the rope until it’s too late. Always check ropes before every use and treat strange stains with caution as chemicals can cause rope to degrade. Apart from that, just keep your kit away from anything that isn’t mud, rocks or water. Outdoor kit is designed to be wet and muddy and if it isn’t constantly then you should get out more! Once you’ve committed to a particular sport, should you buy or hire equipment? What are the pros and cons of each? Richard: If I’m committed to something and keen to progress in the sport and spend regular time on it, I would always buy my own kit. Rental gear is usually heavy, doesn’t fit quite right and isn’t that glamorous. However, I regularly rent mountain bikes because if I’m away for a few days I don’t want to leave an expensive bike in the boot of my car. Sometimes it’s better to split costs with friends if on a budget—for example, you can buy the climbing rack and your mate buys the rope. You can always do things on the cheap—climbers are known for that! If you’re going to be climbing on a shoestring, spend all your money on climbing gear and sleep in your car to save on accommodation costs—it’s about prioritising the right things. Does equipment you hire out often come back damaged? Richard: Yes, people never treat rental kit like their own. What’s that mountain biker's expression? Ride it like you rented it! What’s the main cause of equipment getting damaged or broken, whether while it’s being used or through improper maintenance/storage? Richard: Our main issues are excessively worn ropes, broken headlamps and damaged mountain bikes. The ropes get worn quickly due to people not being as careful as if they were their own. Rushed set-ups and not taking care on rough rock means ropes wear out more quickly—you can buy padding to put round ropes on rough rock. Headlamps are delicate and people are heavy-handed with them and don’t shut the battery door properly so water gets in. Often big groups on some kind of celebratory adventure go hell for leather and they fall off and break parts (and themselves). Most other outdoor kit is pretty hardy though so we don’t have many other issues. What measures can people take to ensure their specialist equipment lasts as long as possible? Richard: Clean it after every use, wash grit out of it and store it in a dry, well-ventilated place out of harmful UV rays from the sun. How often should you expect to replace equipment such as ropes, harnesses and clips? Richard: Ropes and harnesses can last up to 10 years if stored properly and barely used but somebody climbing twice a month would normally get three years’ usage. We replace our ropes every year if they are out several times a week. Metalwork will be good for 10 years normally but you should always check the manufacturer’s recommendations as every manufacturer is different and by law will have recommendations on when to replace after different amounts of use. Many people share Richard’s passion for the great outdoors—although not always to such an extreme! But whether you’re more suited to a gentle stroll through the countryside or a full-on white-knuckle experience, the principles remain the same—look after your equipment and it will look after you. As John Steinbeck famously said ‘people don’t take trips, trips take people’ which is just one of the many reasons why the lure of the open road appeals to so many holiday makers. Taking a road trip is a great way to experience every aspect of your holiday, and making the most of the journey — rather than focusing purely on the destination — means that your adventure starts the very moment you put your foot on the pedal. When it comes to road trips, the difference between the trip of a lifetime and the holiday from hell depends largely on the condition of your vehicle. Giving your vehicle a bit of TLC before hitting the road can help prevent any nasty surprises. ☐ Check that all vehicle documents are up to date. Ensure that your road tax, insurance and MOT are valid and will not expire while you are away. ☐ Book your vehicle in for a service. 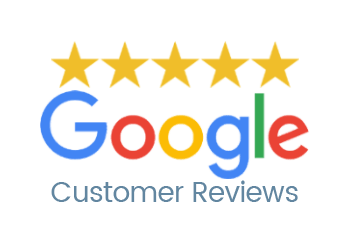 Don’t chance it that you will get a last-minute appointment, reputable garages are often booked up in advance. ☐ Roadside assistance. This could turn out to be invaluable if you break down in the middle of nowhere. It is often inexpensive and the cost is far outweighed by the peace of mind it offers. ☐ Consider hiring a car. Especially useful if your car is prone to being unreliable. If you have problems with it at home it is highly likely that it is not going to last the length of your trip. Getting lost can sometimes lead to the best road trip adventures, ‘sometimes’ being the operative word. Knowing where you are going and how to get there will eliminate stress and most certainly reduce the chance of navigational disputes! ☐ A recently updated Sat-Nav can be a godsend when travelling through unfamiliar areas. ☐ A trusty map is worth its weight in gold if you lose GPS signal, or if you want an overview of the wider area. ☐ Plan your route via the scenic route. Detouring from the motorways can open up some stunning scenery and views. ☐ Research guest houses, hostels and camp sites along your route in case your plans have to change for any reason. How much you pack depends on three elements: how long you are going for, the size of your car and the number of passengers. Packing everything you need while maintaining passenger comfort can be a tricky balance to strike, but the right equipment can definitely help. ☐ A roof box will free up space inside the car and is perfect for storing lightweight yet bulky essentials such as sleeping bags, camping chairs and clothing. It is worth noting cars become considerably less aerodynamic when fitted with a roof box, which may negatively affect petrol consumption. 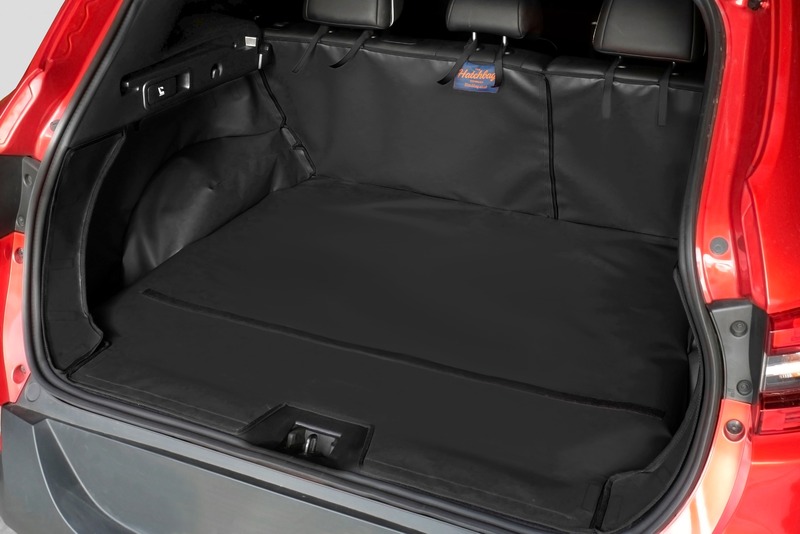 ☐ A protective boot liner fitted to the exact dimensions of your car boot will help prevent the car’s interior from being damaged when packing and unpacking bulky luggage. It will also protect the boot from the mud, sand and wet that inevitably gets transferred into the car whilst out and about. 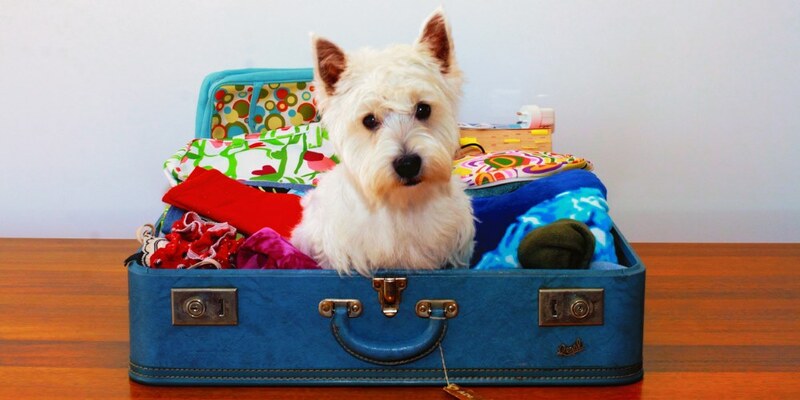 ☐ Pack smartly and make sure that your actual bags and cases aren’t adding on unnecessary bulk to your luggage. Handles and wheels can take up valuable space so think about lightweight alternatives, especially if your luggage is staying in the car or going straight from the boot to your accommodation. Consider using laundry bags for clothing. Stackable, clear plastic boxes are also great for organising general belongings, especially when camping. Sitting in the same position for hours on end can become uncomfortable, so it is important to make regular stops to visit the loo and stretch your legs. Maximising in-car comfort will help make long stretches of the journey more bearable. ☐ Lightweight blankets can make driving at night cosier for passengers and will reduce the need to crank up the heating — which can cause tiredness due to dry eyes, not to mention burn more fuel. ☐ Supportive neck pillows can help passengers catch forty winks while in transit. ☐ Sharing the drive will undoubtedly ensure that all parties enjoy the journey. Make sure all drivers are insured on the vehicle prior to departing. ☐ Do not underestimate the power of snacks. Stock up on snacks that are easy to munch on the go, plus water bottles to keep you hydrated. Insulated flasks are great for keeping hot drinks warm, and they can be re-filled at service stations throughout the journey. ☐ In-car entertainment such as portable DVD players, tablets, guessing games and a few good playlists will help while away less scenic stretches of the trip, especially if you are travelling with children. A bit of smart planning can make a huge difference to the success of your trip and ensure that the journey is every bit as fun as the destination. So get prepared, get packed, get comfortable and get going! ‘’ Time for a little competition’’ the Koreans said. Although the Toyota Prius is the world’s best-selling hybrid car, the Koreans have taken on the challenge and brought their own to the road, the all-new Hyundai Ioniq. The car comes in three versions of electrification: the pure electric vehicle(EV), the hybrid model with a petrol engine combined with an electric motor, a plug-in hybrid – that’s basically the same as the hybrid but with a bigger battery for more range that you can charge externally – and a pure electric vehicle (EV). These three convenient vehicles have a one thing in common, the Hyundai boot liner for the Ioniq will fit them all. What you will notice with the Ioniq Hybrid and Plug-in Hybrid, the performance is pretty good as the petrol engine and electric motor work together. This makes both model versions quicker than a Toyota Prius, but on the other side slower than, say, a Volkswagen Gold GTE. The Ioniq has been set up to handle urban areas well with light steering that’s easy to manage. However. if you want to use the Sport mode - this adds too much weigh. Passengers in the Hyundai will have no trouble getting comfortable, as there is room to adjust on offer, however, when it comes to the back-passenger area, the Hyundai Ioniq offers some space, but there isn’t quite as much room for adults as there would be in the Kia Niro or Toyota Prius. If you are over six-foot tall, you will likely find yourself with your head close to touching the roof and knee room to be a little tight. On the other hand, if you need to be able to carry up to three kids in the back, you will see that there is plenty of space. The Hyundai Ioniq boot should not be underestimated - with its 443 litres you can easily fit the pram, the dog and your shopping in the boot. Plus, if you’re thinking of heading to the top, then you can easily store heavy loads in the boot, as the boot opening has quite a large opening. The seats also split 60:40 split, which comes in handy when you need to transport both passenger/s and very long items. For all the Hyundai Ioniq car owners we are happy to announce that there is a Hyundai boot liner available to protect your boot. Come choose one of our seven colours for the right fit for your Hybrid, along with the choice between a Standard boot liner, a Rear plus and a Rear Split option. The latter two options are ideal if you want to be able to fold your rear seats down. All of our boot liners come with an array of other Ioniq accessories so you can customise the perfect Hyundai boot liner for your lifestyle. 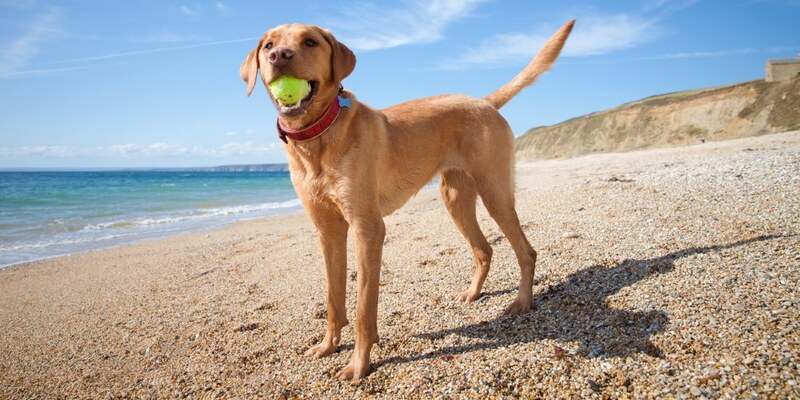 Our boot liners are not only handy to have after beach walks with the dog, but also following a hike. Here at Hatchbag we offer the perfect Skoda accessories to give you the full protection for your boot. 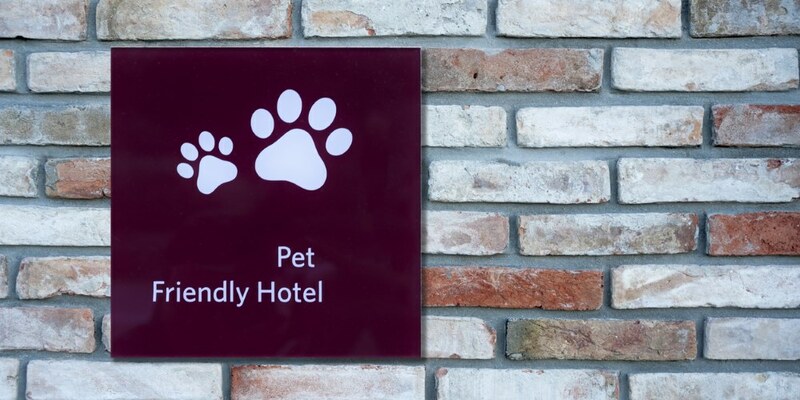 Plus, at the same time offering a comfortable place for your dog to ride in. We offer an array of Skoda accessories for your Skoda Karoq and Kodiaq. 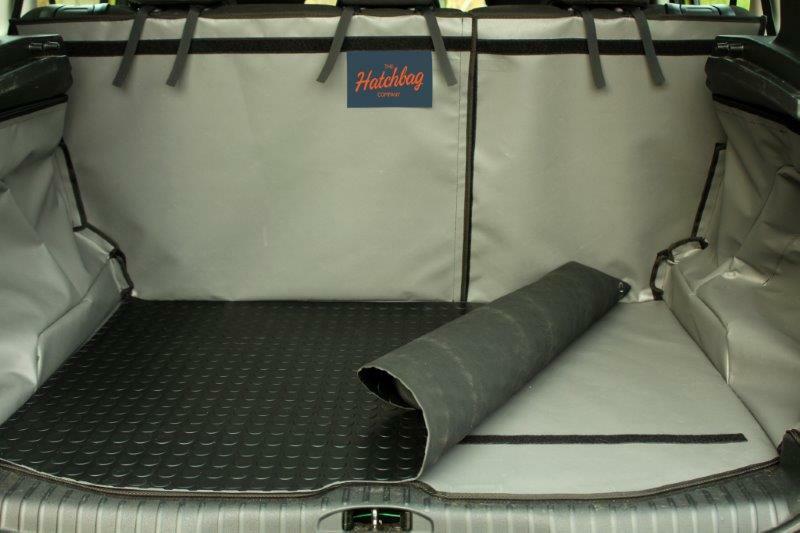 Not only do we offer a boot liner for each model but also the choice of one of three mats for both you and your pooch. One of our mats we offer is the very special odour mat. After-all, as much as we love our dogs they do get very dirty and smelly after all the fun activities. So, with this in mind, we have developed a quilted blanket style mat which contains activated carbon to absorb and eliminate bad odours. These are tailored to fit inside a Hatchbag Boot Liner. Plus, the Odour Control Pet Mat has a special finish to repel hair and dirt. The second mat we offer is the Hatchbed Mat, which comes in pairs. This way whenever one is in the wash (washing machine and tumble drier suitable) you have a spare one ready to go in the boot. The second great feature is the top section is about 25 mm deep of carpet - very comfortable for your pooch! These mats are designed and tailored to fit inside your boot liner and come with a unique non- slip rubber backing. Plus, our Hatchbed Mat is recommended by Vets and Pet Care Professionals. Last but not least is the Rubber mat. This one is very handy for customers who use their boot for heavy use such as, carrying tools or heavy loads. The mat allows objects to move across the surface without ‘’snugging.’’ The mat is also anti-slip, so will prevent both the mat and objects from sliding all over the place. For the Skoda Karoq and Kodiaq we offer a Frequent Use Tabs kit, available on our Skoda accessories page. These tabs act as a sandwich between the liner and the carpet, to prevent the carpet from fluffing up. Each kit comes with thirty-two tabs, so you have more than enough to protect your car boot's carpet. When it comes to these two models, there are a number of car boot floor variations on offer. For the Skoda Karoq, we offer one floor version and for the Skoda Kodiaq, we currently offer a liner for both the 7 seater and 5 seater version and for the latter we offer two but soon to be three floor versions. 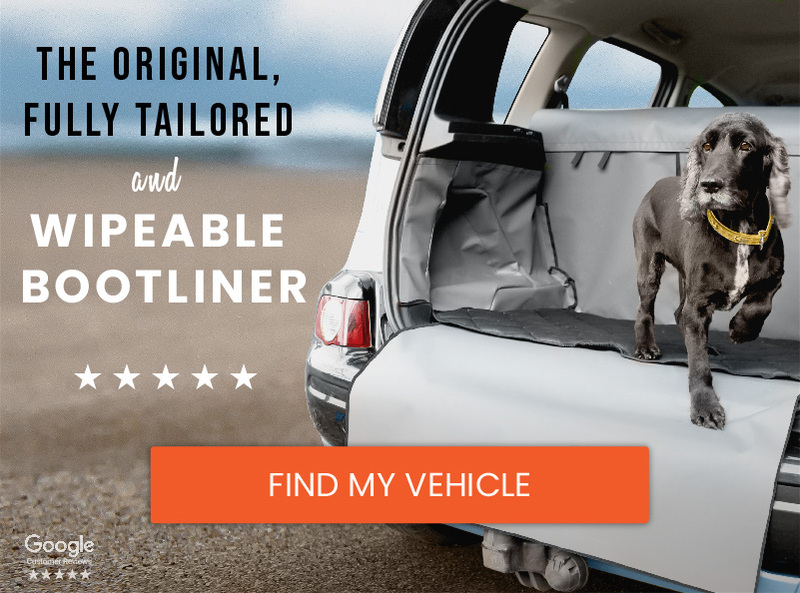 Make sure you check out each boot liner page to see if we offer the version for your vehicle. However, if we don’t then make sure you contact us, as you never know the version your after may be the next one we do. Get ready to have a new driving experience & Hatchbag car boot protector that will fuel any of your ambitions, especially with all the space that is available. This car gives passengers in the front enough head room and most importantly leg room, making it a very enjoyable ride. It is no secret that the BMW X3 is among the best large SUVs in having so much space at the front. In addition, the BMW X3 has an impressive family boot that can carry up to eight suitcases. Plus, if you need more space for loading bulkier items, the rear seats split in a 40/20/40 configuration, giving you more flexibility and space within the boot. For those who like to go bike riding, or hiking (or just a walk on the beach) we have a new car boot protector for the two floor versions the BMW X3 has to offer. 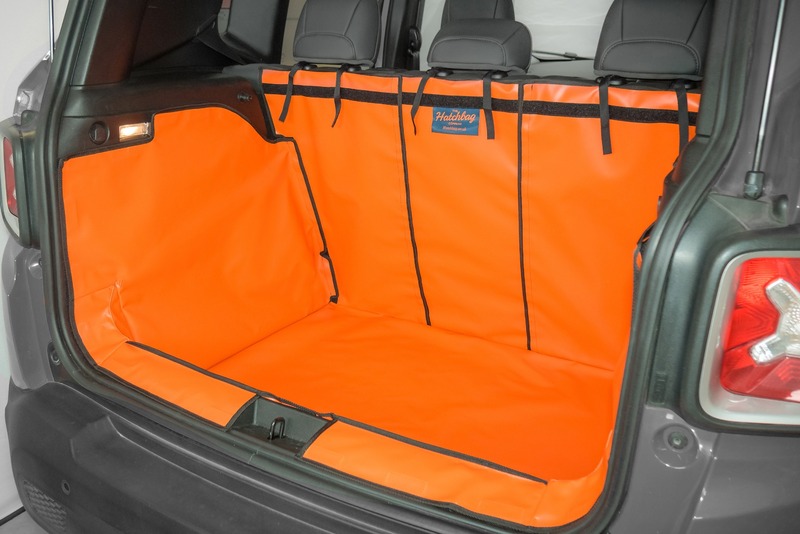 We also offer a version with a net on the nearside, which is ideal for those who like outdoor activities in keeping your boot clean, and at the same time have access to the net to store any equipment. The second option is for cars that have no net on the nearside. This will give you a bit more space as there is no net and the recess is a bit deeper. Volkswagen has again proved that they know what to bring to the market with the new VW T-Roc, a car that will make you stand out from the crowd. Whether you are looking for a car with a red roof and a white body, they have something for everyone. The car also comes with an optional 4MOTION, to give you the opportunity to tackle almost any terrain. What is also very interesting about the VW T-Roc is its driver assistance systems, which will assist you on long journeys, making sure that you stay alert and avoid accidents. 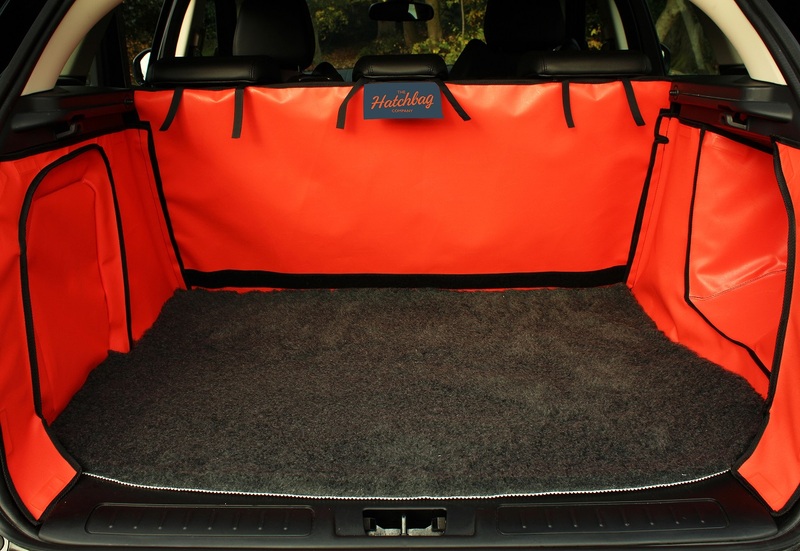 Here at The Hatchbag Company we have just what you need to accompany your long journeys: a VW T-Roc new car boot protector, available in 7 colours and with various optional extras. We have designed two boot liners to fit the two floor versions the VW T-Roc has to offer: a raised floor version and a low floor. 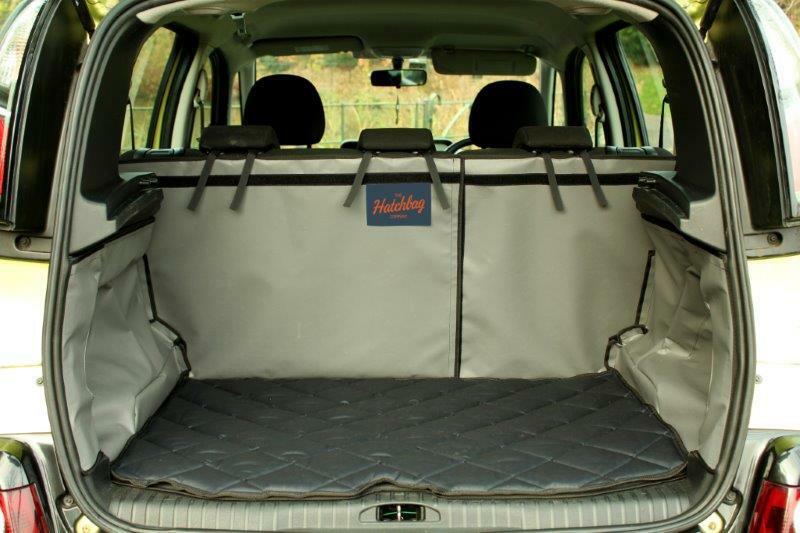 With the low floor version, there is more space in the boot for to carry heavy equipment or to give your dog that bit more comfort in the boot. If, however you don’t need all that extra space, the raised floor is ideal. Please look at our Vehicle Identification document before placing an order on the website, to make sure you are buying for the correct version. The new Mercedes CLA Shooting brake is very stylish yet very practical, which makes it an exciting and alternative family car. This Mercedes has extra space, so ideal for whoever has a dog or needs that extra space for leisure. The boot has enough space for that trip you would like to take and any suitcases or a buggy. And should you wish to fold down the rear seats, your space will be boosted going from 495 litres with the rear seats up to 1354 litres with them down. This is a very easy process as the seats split 60/40, and they pretty much lie flat, offering you as much space as possible. At the Hatchbag Company we did not want to miss out on bringing you a Hatchbag car boor protector. Our selection for the Mercedes CLA Shooting Brake has two versions, for those who have a net in the boot nearside and would like to keep using it. This can be used to store some drinks when you go hiking with your pooch, or to store small equipment. For those who don’t use it, we offer a liner to cover the net part. 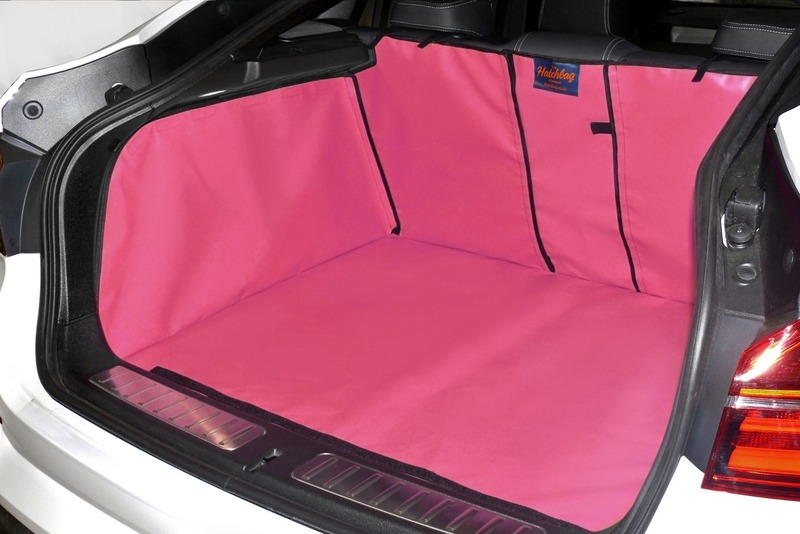 We have seven colours to choose from and some interesting optional extras, such as a bumper flap to give your pooch the chance to jump out of the boot without leaving marks! Our hatchbag car boot protector will keep your boot clean with all these new adventures the new BMW X3, VW T-Roc and Mercedes CLA Shooting Brake are going to bring you. Not only do you have a choice between seven colours, to find one that will nicely match your car, but there are also many other extras you can choose from.